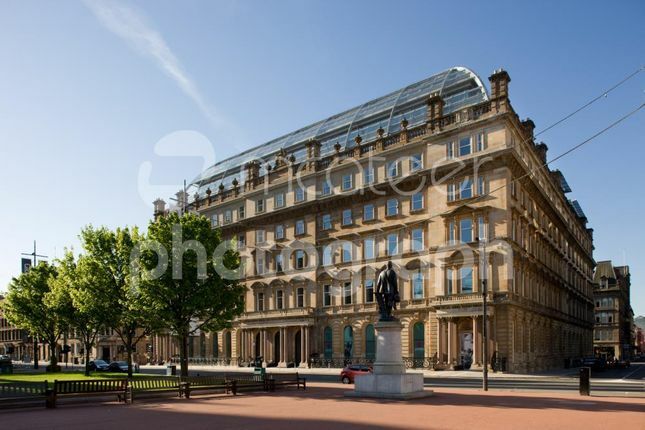 The property is situated in a highly prominent position within Glasgow’s main civic square. The property is directly opposite Queen Street Railway Station, with Buchanan Street Subway nearby. The building benefits from a vast range of retail/leisure amenities including Jamie’s Italian, Brown’s Bistro, Pret A Manger, Sainsbury’s, Millennium Hotel and Pizza Express.